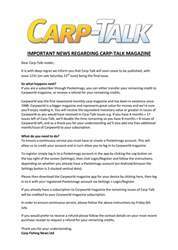 This week’s issue of Carp-Talk (issue 1048) is available to download now. 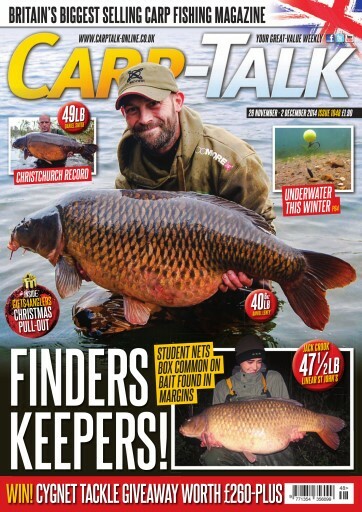 The catches this week are topped by the 47½lb Box Common from St John’s Pool, caught by student Jack Crook on some bait he found in the margins of his swim. 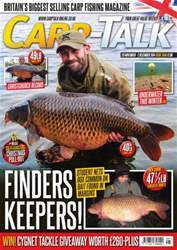 We’ve also got the new Bundy’s and Christchurch records amongst many other notable big fish. Teenager Benedict Fowler gets to grips with one of the busiest day-ticket waters in the country, Linear Fisheries’ St John’s Pool. 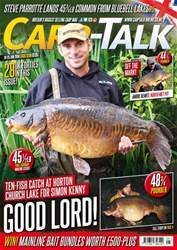 Baz Lloyd looks back at the first half of his fantastic year on Linch Hill’s Stoneacre Lake, and Elliott Gray visits Gigantica for the first time. Rob Hughes concludes his look at the effects of light and water clarity on colours underwater. 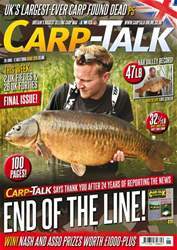 In Trade Talk, products from Avid Carp, Fox, Gardner, Sonik, Taska, DT Bait Developments and CC Moore go under the spotlight. The monthly Wychwood Rising Stars are announced, and there is £260-plus worth of Cygnet products to give away.